The results from a Life Cycle Assessment study, carried out by Harmony Environmental concludes that Solutiaʼs Performance Films division delivers a positive impact to the environment. The assessment, consistent with International Standards Organisation (ISO) standards, was completed at the end of 2010 and concluded that the divisionʼs solarcontrol architectural window film products become carbon neutral in less than two months after installation. With an average service life of 15 years, this means that these products are typically providing 14 plus years of greenhouse gas (GHG) reductions after accounting for the productsʼ total carbon footprint. Performance Films currently has 54 architectural solar-control film products in its LLumar and Vista brand portfolios, including the EnerLogic series window films, with advanced low-e technology that can improve the insulation performance of single-pane windows to dual-pane and dual-pane to triple-pane while delivering all-season energy savings. The National Refurbishment Centre (NRC) has launched a new web portal that will make empirical evidence on energy efficiency in real homes available to industry in one place, with the aim of explaining to housing professionals what works where, and how best to do it. A complete facelift of the UK housing stock would save around 48 million tonnes of CO2 and reduce householders’ fuel bills by as much as £8.7billion. The portal, which will be launched at Housing 2011 in Harrogate, is aimed at housing stock managers and other construction professionals, and provides users with access to an evidence base of knowledge related to the cost of a range of housing related retrofit activities and their carbon and energy savings. Funded by the BRE Trust, Energy Saving Trust and the Technology Strategy Board, and supported by the National Refurbishment Centre partners and the AECB, the portal currently features case study data that has been derived from over 150 diverse social and private housing refurbishment projects from across the UK. In time this figure will grow to over 500. The aim of the portal is to drive progress in the sustainable upgrading of the UKs existing stock which accounts for over 25% of our total carbon emissions. Director of the NRC Anna Scothern said: "The NRC’s objective in developing the portal has been to stimulate effective action on refurbishment. There’s been endless talk around the issues related to existing housing stock – CO2 emissions, energy costs, fuel poverty – but the people already delivering refurbishment need help. They need to know what interventions work and what the cost implications are. The portal will give them this crucial information and enable them to make reasoned decisions around their projects based on the experiences of their peers. It’s a hugely valuable tool". The Rainforest Alliance and Kingfisher have joined forces to tackle some of the most difficult issues facing companies who strive to source their timber from legal and sustainable sources. The SmartSource programme of the Rainforest Alliance will work with the Kingfisher Group across its business to identify sources that require special attention moving them towards FSC certification and ensuring compliance with Kingfisher’s own stringent timber sourcing policy along the way. This collaboration between the Rainforest Alliance and Kingfisher started at the beginning of 2011. The Rainforest Alliance is helping to develop bespoke solutions to address specific supply chain challenges identified by Kingfisher. Samsung will transfer the solar business from Samsung Electronics to Samsung SDI in order to unify energy business and create synergies, and it plans to invest US$5.5 billion in solar technology development and production by 2020. Samsung presented its vision of eco-friendly and energy solution company during the press conference at Intersolar. The expansion in the rechargeable battery and solar module industries enables Samsung to create a new energy business area focusing on energy generation and storage. This forms part of Samsung's green management strategy to transform itself into a top green enterprise on a global scale. Samsung believes that solar energy will play a vital role in the next generation of renewable energy throughout the 21st century and began its work on crystalline materials and thin film technology as early as 1987. In January 2008, it embarked on strategic research and development in the field of silicon-based photovoltaic. The solar energy business team was formed in early 2009 to go forward with solar cell commercialization. The first full scale R&D line with a capacity of 35 megawatts was set up in September 2009. The latest product line boasts a yearly capacity of 130 megawatts, aiming for a production capacity of 3 gigawatts by 2015 and 10 gigawatts by 2020. Tarmac has achieved BES 6001 Responsible Sourcing of Construction Products at VERY GOOD rating across its complete product portfolio. The certification covers every aggregate, asphalt, ready-mixed concrete, lime and cement product supplied from Tarmac’s 537 UK sites. BES 6001 is an independently audited standard, certifying that a company produces materials in a sustainable way throughout its supply chain. Gaining a high rating of Very Good also means that Tarmac’s products help customers by delivering the highest levels of responsible sourcing points against schemes like BREEAM and the Code for Sustainable Homes (CfSH). Dr Martyn Kenny, Director of Sustainability at Tarmac said: “Responsible sourcing is a key issue for our customers and the Government, and it’s something that Tarmac is totally committed to. Last year, we achieved a Very Good rating for aggregates and ready-mixed concrete, so I’m really delighted that, this year, we’ve been able to extend this to asphalt, lime and cement. It’s good news for customers, as they now have the added confidence that every single Tarmac product is responsibly sourced. In addition to BES 6001 Responsible Sourcing of Construction Products, Tarmac is also certified to the Achilles Building Confidence scheme. Wickes has introduced a complete range of light bulbs by Philips with easy-to-follow instructions on pack and in store to make it simple for customers to start replacing their old bulbs with new energy efficient bulbs. Wickes is offering halogen, CFL & LED powered replacements for the traditional incandescent light bulbs in the three traditional shapes; A shape, candle, and mini globe. All replacement bulbs come in either the screw cap or the bayonet cap and are available in selected Wickes stores now. Enecsys has unveiled the SMI-D480W-60, a 480 Watt micro inverter that mounts on the railing system and accepts DC input from two individual solar modules. This Duo micro inverter enables maximum power point tracking for both modules and reduces inverter cost compared with using one micro inverter per module so that there is no cost premium over string inverters. The DC power generated by the two solar modules is converted into a single, grid-compliant AC output in the 480W unit, which has a maximum input current of 24A. With a peak efficiency of 96% and Euro efficiency of 94%, the new micro inverter is housed in an IP66-rated enclosure. It weighs 2.1kg and the main body measures 245mm x 160mm x 40mm. The SMI-D480W-60 micro inverter operates from -40ºC to +85ºC, has over 25 years' service life and is supplied with a 20-year limited warranty. Solar PV installations with Enecsys Duo micro inverters deliver 5% to 20% more energy over the life of the system, depending on the operating environment and installation configuration. Using Enecsys micro inverters eliminates the problem of dramatic reductions in energy harvest when solar modules are mismatched or when one module, or part of a module, has its output reduced through shading or accumulation of surface debris. This causes major energy harvest problems for string inverter systems. Based on a patented inverter design that removes life-limiting components, including electrolytic capacitors and opto-couplers, the reliability of the Enecsys SMI-D480W-60 has been verified using industry-standard test methods including HALT and HTOL. The inverters have also undergone thermal cycling to IEC61215, the same tests applied to solar PV modules. A new iPhone application, compatible with iPhone 4 and iPhone 3GS models, has also been announced. Installers can use the application to monitor multiple sites located anywhere in the world, from anywhere with a mobile data connection. For each site, information is provided about the installation date, location, current weather conditions and real-time as well as historical system performance information. Newly rebranded Revitaglaze (formally IBL) is raising awareness about the benefits its service brings to the market. 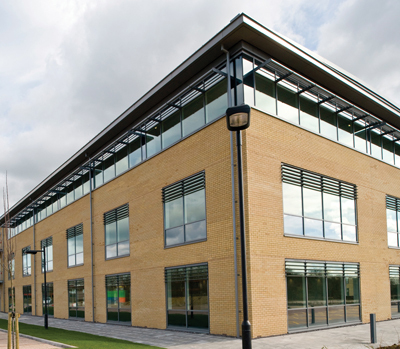 Revitaglaze offers glass polishing, window filming, vinyl branding and window manifestations to a wide range of industries – offering practical solutions for cost cutting, sustainability, upgrading and restoring of commercial property and company re-branding. With the sustainability agenda gaining importance, a healthy environmental rating becomes ever more a necessity, boosting business credibility and satisfying stakeholders and enabling commercial properties with leases due for renewal to be more attractive for tenants or buyers. Over 90% of facility managers, according to a 2008 survey, are working to make their facilities more sustainable. This is a direct result of customer as well as government demand but primarily because it makes financial sense to do so. “Clearly, sustainable credentials give stakeholders more confidence and pride in a business brand,” he company said. 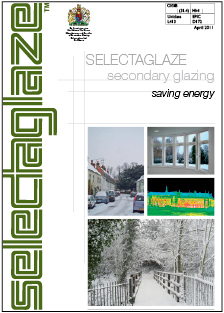 Window films can influence the reduction of carbon emissions. Furthermore, counter to recent claims that commercial building improvements cost more to the environment than they save, when it comes to window filming the benefits are proven. Global supplier of window filming, Solar Gard spent £1m in research and development, and has recently launched an Environmental Product Declaration which analyses the full life cycle effect of raw materials, manufacture, delivery installation and disposal. It assesses the true environmental effect and not just the Carbon/CO2 aspects, and clearly proves the benefit to the environment. Glass filming filters out 99% of UV rays, which are damaging to interiors, causing fabric and wood to fade. It also addresses the threat of skin cancer. By reducing glare, filming also creates a healthier working, traveling and living environment, boosting a sense of well being and reducing the need for air conditioning. In terms of insulation, again glass filming scores highly. Clearly financial as well as environmental cost cutting and efficiency are key factors in how this product supports sustainable development. Window films not only strengthen glass, to the extent that it withstand an accidental impact of someone falling into a pane, it can also protect individuals from shattered glass following a bomb blast. At Intersolar Europe 2011, Schüco demonstrated that decentralised energy management, as well as self-sufficient homes and offices are no longer a vision of the future; they are already a reality. In line with the company model of ‘Energy3 – saving energy, generating energy and networking energy’, Schüco shows the way towards decentralisation and independent power generation. With Energy³ Buildings that save energy with coordinated windows, doors and façades, and generate energy with a wide range of solutions for solar power and solar heating. This energy can be used by means of intelligent networking. The task is performed by a new ‘energy manager’ unveiled at the exhibition: the Schüco E3 Tower. It networks all of the generators of solar electricity and heat. The aim is to use and store the generated solar energy where it is consumed – in the building. The Schüco E3 Tower connects together all the components of the Energy3 Building and controls personal power consumption, storage, and the purchase and sale of energy. This technology is therefore just as worthwhile for family homes and apartment blocks as it is for small and medium-sized companies. Another key focus of the Schüco display is pioneering new photovoltaic system solutions for private homes, industrial and commercial roofs, open spaces, and for integration in windows and façades. In addition to poly- and monocrystalline photovoltaic modules, the photovoltaic portfolio also includes micromorphous and amorphous, silicon-based thin-film modules, which are produced at Schüco production facilities near Magdeburg and Dresden. New to the product range are the Schüco Blackline thin-film modules, which achieve a higher level of efficiency thanks to the micromorphous cell technology. All Schüco thin-film modules achieve optimum outputs even at high operating temperatures, in diffuse light and where module orientation is less than ideal. Schüco thin-film modules are manufactured with minimal use of raw materials and do not contain either cadmium or lead. Together with the MSE 100 mounting system, they form a complete and flexible PV system for every project requirement. Marmox Thermoblocks are designed to replace the bottom row of bricks in an internal wall. 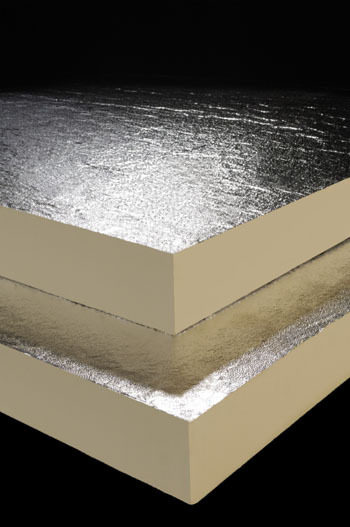 They virtually eliminate the thermal bridge between the wall and the floor and create a waterproof thermal barrier. Marmox Thermoblocks consist of a core of fire resistant XPS reinforced with load-carrying, lightweight columns made of an epoxy composite. 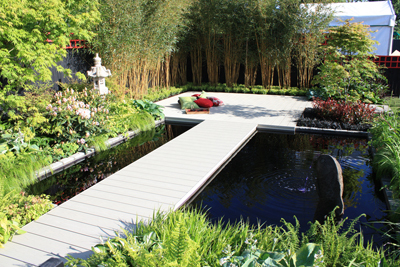 They are covered on the top and bottom with a layer of fibreglass mesh embedded in polymer concrete. 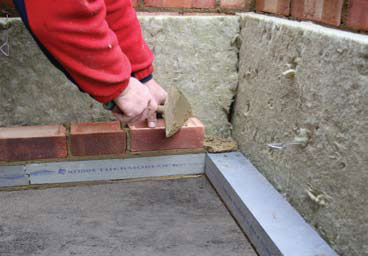 Standard 65mm high Marmox Thermoblocks are to be compatible with the UK brick height. They are available in two widths: 100mm and 140mm. 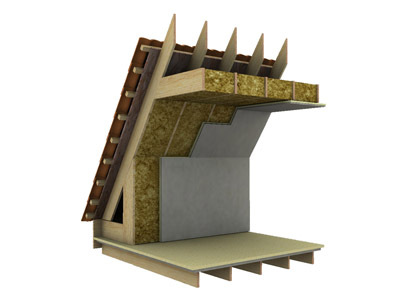 If even greater thermal insulation is required, a thicker version giving an R value of 2 is available. This is 80mm high and available in both 100mm and 140mm wide. New building regulations are putting more importance than ever on minimising thermal bridging as they aim to cut down CO2 emissions by 25% more than in the 2006 regulations. A thermal bridge in a building is where two different materials with different heat conductivities meet. If one of the materials is more conductive then the heat that would normally be trapped inside the building escapes, finding a path to the outside along the more heat conductive of the materials. A good example of this would be where the floor meets the wall; here the floor cuts into the wall and allows the heat to trickle down the wall into the floor then outside along the concrete floor. The new compact, high output BioWIN Excel wood pellet boiler from Windhager UK is aimed at larger properties with heating requirements of up to 180kW. 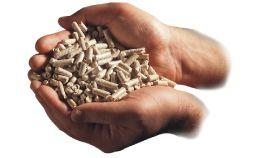 Extensively tried and tested, the pellet heating technology has been adapted especially for high performance, focusing on maximum operational safety, fuel efficiency and economic operation for cost savings. The high output BioWIN uses a new fully automatic pellet feed suction system not used on any other boiler system. The flexible system uses up to eight extraction points within the bulk pellet hopper, making the system incredibly reliable and space saving as pellet storage rooms incorporating inclined surfaces are no longer required. An installation footprint of just 1.12m2 is all that is required for the BioWIN Excel. The BioWIN Excel is a fully automatic appliance and incorporates fully automated cleaning functions, ash removal, intermediate pellet hopper and a large ash box. The BioWIN Excel has a number of features to reduce system maintenance and increase levels of comfort and efficiency including a fully automatic patented ash-sliding grate under the burner running in opposite directions about every six hours to ensure a clean burner bowl. The burner grate fully opens to allow larger pieces of residue left from combustion to be reliably removed for long and continuous burner operation as ash is removed at the same time as pellets are drawn into the burner. The large ash box integrated into the unit holds ash from up to 8 tonnes of pellets, extending the intervals between emptying to just 1 to 3 times per heating season. Long cleaning intervals can also be attributed to the fully automatic heating surface cleaning as the ash generated is automatically conveyed to the ash box via two augers. The high output BioWIN is available in outputs of 35kW, 45kW and 60kW and is available in a cascade version up to 180kW, making it the ideal heating solution for large buildings, hotels, schools, public buildings, apartment blocks and district heating systems. The BioWIN Excel is also available as a pre-packaged plant room for a total turn key solution for an energy efficient renewable heating solution. Windhager’s system technology means that like all its biomass boilers, the BioWIN can be combined with other heating components such as wood or solar thermal, hot water tanks, buffer solutions and control systems to provide an energy efficient, heating solution. Carlo Gavazzi now provides a complete solution for control, protection and monitoring of grid-connected solar photovoltaic (PV) plants. The Smart String Box bundles Carlo Gavazzi surge arrestors, power supply and EOS array master module, string controller, environmental module and I/0, together with a third-party isolator device, all packaged in an IP66 rated enclosure. It is ideally suited to installations ranging from 10kW-120kW and manages up to 250A of total string current. Smart String Box systems can be fused on both the negative and positive side. New Carlo-Gavazzi DSF surge arrestors embody a special internal backup that ensures they remain safe at the end of varistor life, thus ensuring the safest transient overvoltage protection for combiner boxes. Carlo Gavazzi’s recently introduced Eos-Array controller is flexible, easily scalable and is composed of a series of modular elements to provide efficient local and remote control of a solar plant, targeting small to medium or high power installations. With no auxiliary bus wiring, the system is simple to install and straightforward to expand. Further cost saving is provided by the integrated string fuse protection, and modularity also improves overall system reliability. String efficiency and inverter performance are monitored, enabling operators to rapidly isolate faults, failures and inefficiencies as soon as they occur. Built-in independent monitoring provides basic or comprehensive plant control and monitoring on DC and AC sides. The expandable system gathers accurate and dependable data to help maintain an efficient revenue stream from PV installations. 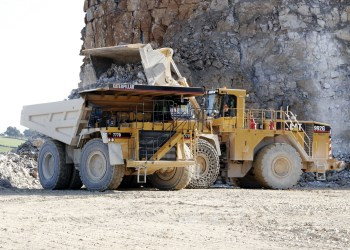 Controllers promptly advise users of events such as blown fuses, PV module disconnection or inverter failure, to enable rapid maintenance measures to be carried out, significantly reducing service time and missed production costs. There is no monthly charge for the data, which is stored locally to give users full control. Monitoring systems also provide users with information including calculations of DC-to-AC conversion efficiencies and Balance of System. In addition, solar irradiation, wind speed and PV temperature are recorded and available for analysis. Data are displayed in graphical and analytical format and in real time. Alarms can be set for reduced efficiency and interrupted production, with notifications sent via email or SMS according to the type of alarm. Anti-theft monitoring can also be added to the Smart String Box, notifying users as soon as a panel is removed. Components and modules of the Smart String Box are fully compliant with UK and international photovoltaic electrical regulations. 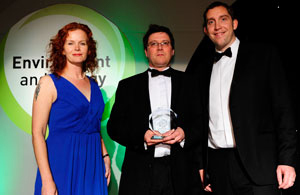 Daikin Altherma Flex Type air-to-water heat pump – heat pump for multiple occupancy buildings – has won the Innovation Award for Environmental Technology at the Environment and Energy Awards. The award was presented at a ceremony on Tuesday 24th May at the National Motorcycle Museum, Birmingham, as part of Sustainability Live. Daikin Altherma Flex Type beat other short-listed contenders, including Environmental Innovations, Enval, Sainsbury’s and Aeolus Technologies, to scoop the award and was among a record number of entries to this year’s competition. The Daikin Altherma Flex Type heat pump is the first system to allow independent control and billing of heating and hot water systems within each individual dwelling, with the whole building system powered from community-based outdoor units, each of which can serve up to ten individual dwellings. This product has remarkable efficiency with COPs of up to 3.5, resulting in a 27% reduction in primary energy use, 59% fewer CO2 emissions and 33% lower operating costs compared with an installation of standard efficiency individual gas boilers. It also provides optional cooling through heat recovery technology, a feature that will become more of a necessity as buildings become more air tight. One of the key features of the Daikin Altherma Flex Type is that it is a high temperature heat pump system, and therefore ideal for retrofitting in apartment buildings. As it needs no immersion heater to provide water flow temperatures of up to 80°C, it can be used with existing heat emitters such as radiators. Since the pipework connection between outdoor and indoor units is made by small diameter refrigerant piping, only a small sized utility shaft is needed to accommodate the system’s connections, making it suitable for most retrofit situations. The Drainwave has obtained the Waterwise Marque. Managing director Martin O’ Donnell said: “We’re delighted that Waterwise has recognised the water-saving opportunities that can be created by the installation of a Drainwave”. Waterwise is the leading authority on water efficiency in the UK. The Waterwise Marque is awarded annually to products which reduce water wastage or raise the awareness of water efficiency. The Drainwave collects waste water from building use and combines this with water from the toilet to increase the flush volume down sewage pipes. The Drainwave stores the water temporarily and once it has reached a predetermined capacity (9.5 litres) automatically tips, which sends the water surging through the pipes. The device is stored underground near the building and contains only one moving part, so it requires little or no maintenance. This is a patented adaptation of the flushing methods originally used by Victorian engineers to keep the main sewers clean. A report carried out by the Water Research Council (WRC) on behalf of the manufacturers of Drainwave, recognises the product as a solution to dry or blocked drains. The Drainwave also eliminates the problem of back flooding after a reflux valve has been fitted. The valve prevents water backing up the pipe from downstream. Reflux valves are however causing blockages upstream of where they are installed. Waste water from buildings which contains solids is prevented from passing through the flap valve due to low flows and low water velocities. The configuration of the Drainwave will ensure reflux valves stop back flooding while the Drainwave will prevent upstream blockages. The WRC now recommends that a Drainwave be installed in conjunction with a reflux valve to stop flooding. The device has received praise from influential architects such as Andrew Best of Buro Happold. 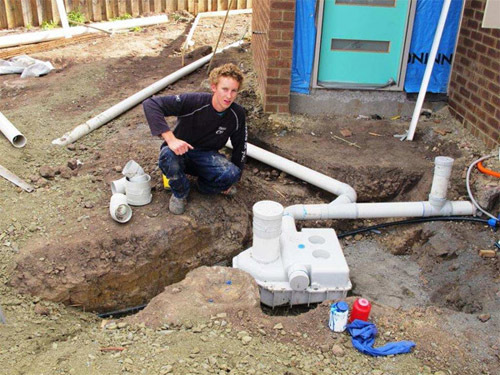 “The Drainwave is a remarkably unglamorous product destined to spend its life buried below the ground, but it offered a very ingenious and simple solution to avoiding problems of blocked drains,” he said. Picture: New-build installation with water efficient house fixtures. 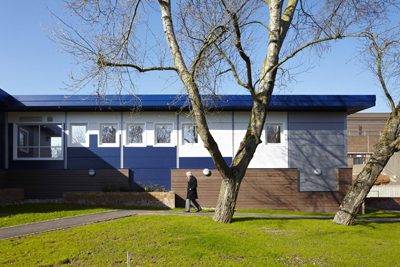 Foremans Relocatable Building Systems, supplier of recycled and refurbished modular buildings, is urging construction clients to check all modular building suppliers comply with Building Regulations Part L2A 2010 requirements. Kevin Jones, managing director of Foremans, said: “It has become apparent that some modular building suppliers are struggling to comply with the revised Building Regulations Part L2A and also that not all are understanding the requirement to provide Energy Performance Certificates on completion of every project. “All buildings supplied by Foremans are fully L2A 2010 compliant. However, as an industry, there is clearly work to do to raise standards and ensure all projects, regardless of supplier, are delivered in line with the new legislation. Foremans is also advising construction clients to ensure that they are comparing tenders for modular buildings that are like for like and that they check suppliers’ track record of previous Part L 2010 compliant buildings. This will help them avoid being hit by unforeseen costs post-completion and potential time delays for Building Regulations compliance. Pre-owned modular buildings are a highly cost-effective alternative to new build – an important benefit in the current economic climate where budgets are restricted. The recycling and refurbishment of relocatable buildings is also one of the most sustainable methods of construction – helping to reduce carbon emissions, waste sent to landfill and improving a building’s carbon footprint.